Some of the best advice I was given before I was a Momma was from another mother of six grown children. She told me that the two places you will get your children to open up are at the supper table and in the car. Be quiet and listen. Give your children time to talk to you. Be more loving and less judgmental and your kids will talk to you. At the time, I didn’t realize how important that advice was. I was just trying to get through and enjoy my pregnancy. But now all these years later, I see the truth in her words. Hey, when a Mom of six grown, loving, well-adjusted productive members of society gives you advice, you listen. She obviously knows her stuff. I think each generation has it’s own struggles when it comes to raising children. And each generation of parents groans a little bit on what they have to deal with. I am mid-life now but 30 years ago, I can remember hearing my parents frustration over kids playing too much Atari and watching too much television. Today’s parents express the same frustrations. Only now it’s cell phones and computers and social media. It is never easy parenting through these mine fields. But I have never forgotten the advice given to me years ago. I took it to heart. I don’t have a ton of unbending rules as a parent but one of them is we will sit at the table and eat together. No matter what the meal is, we will take time to sit at the table and eat together as a family. No television, no phones, just us. If you haven’t done this before, it can be a little awkward or even quiet at first. Sometimes no one is sure what to say or what to talk about. For some kids, they will be chatty right away, others will take a bit more time. Some fun ways to get the conversation going might be to have a hat or bowl full of funny questions that everyone has to ask each other. It’s a good way to learn more about each other and get everyone to talking. My son loves to play cards. It’s a good way to get him relaxed and laughing and more open to talking about school and friends and we can learn more about his day other than getting the standard answer of “I don’t know.” The reality is, parents are busy, kids get busy as they get older, but even if you can only manage one or two meals together a week, that is still something special. Rub spice mixture all over the chicken, including the back of the chicken and the sides. Also, be sure to sprinkle some of the seasoning inside the chicken cavity. Then stuff the chicken cavity with lemon halves, sliced garlic and onions. 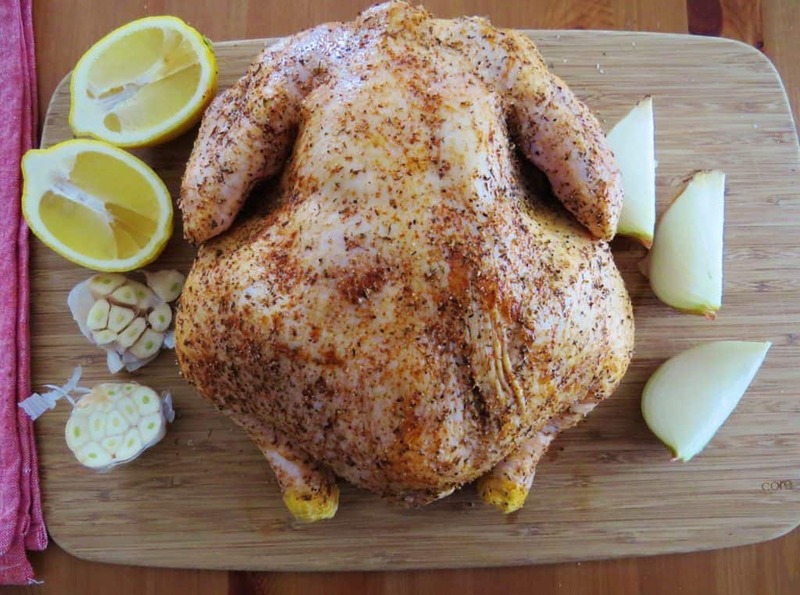 Note: squeeze some of that lemon juice inside the chicken before placing the lemons inside. Also, I don’t bother peeling the garlic or onions. I just put them in there as they are. 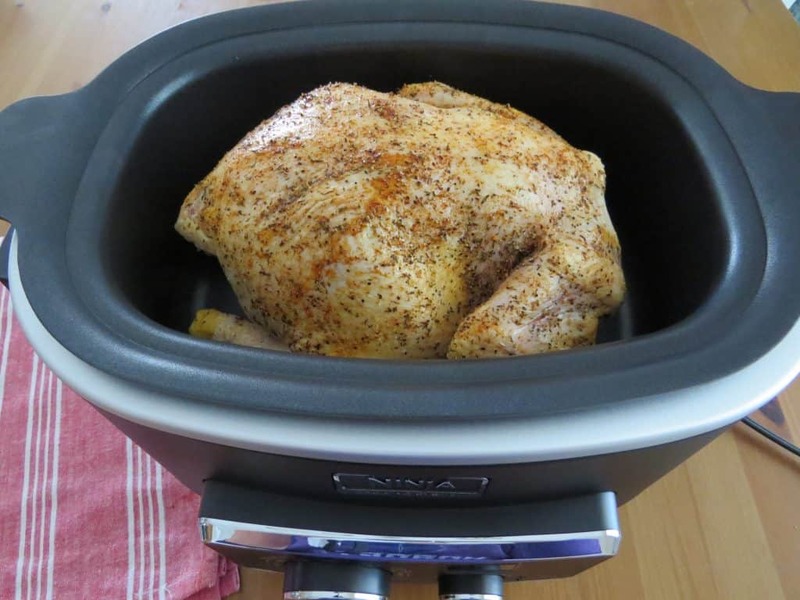 Place chicken, breast side down, in the slow cooker. Cover and cook on low setting for 6-8 hours (or until juices run clear). No other liquid needs to be added. The chicken will produce plenty of juices while it is cooking. 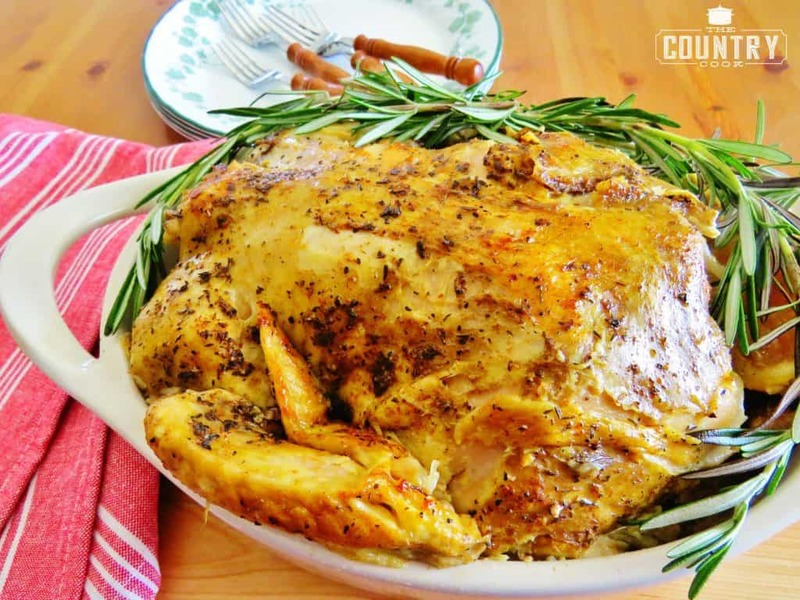 Cook’s Notes: When slow cooking whole chickens, the skin will stay soft. We usually just remove the skin and serve it up that way with a little bit of gravy. But if you’d like to crisp up the skin, as I did here, you can easily do that. 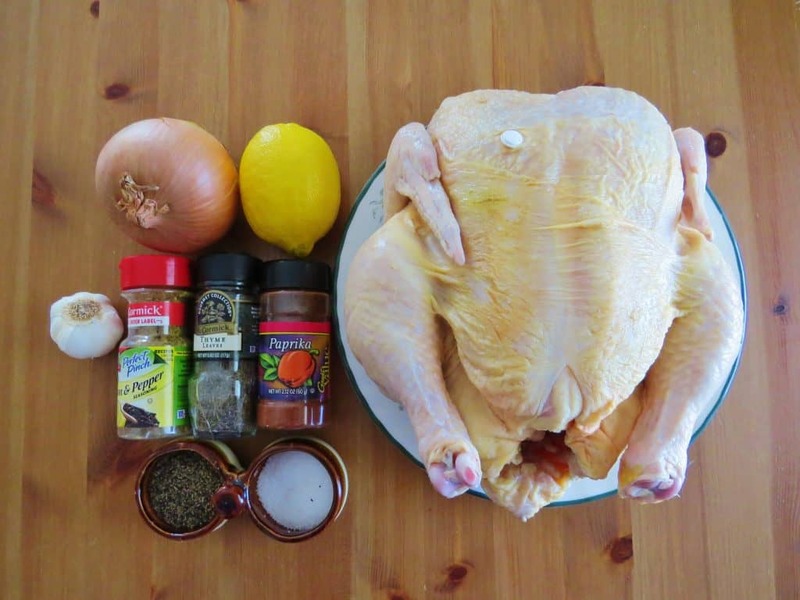 After your chicken is finished cooking, remove most of the juices (don’t toss that, it makes for delicious stock! ), flip the chicken over so the breast side is up. Be careful, this chicken is SO tender! Turn the broiler to low in your oven. 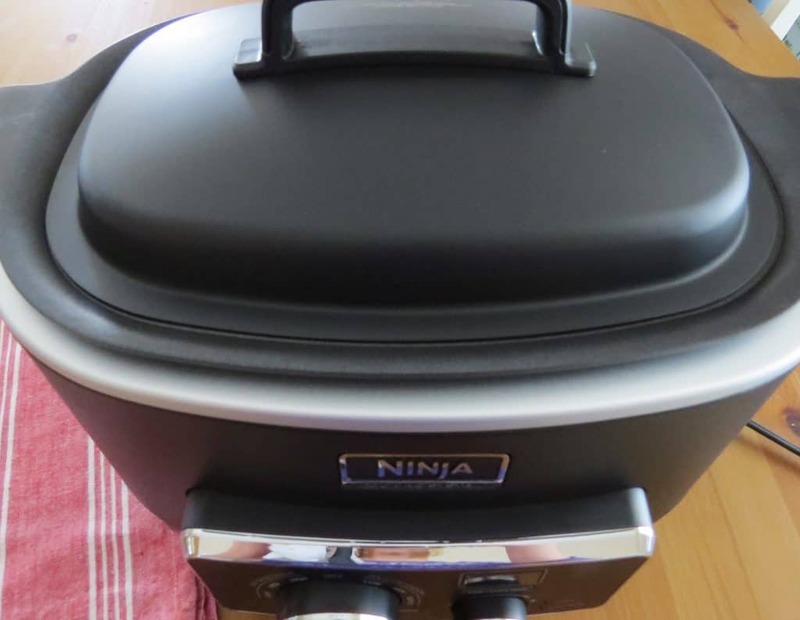 If you have an oven-safe slow cooker insert, you can just put the whole thing under the broiler for about 4-6 minutes (or until golden and crispy.) Keep an eye on it . 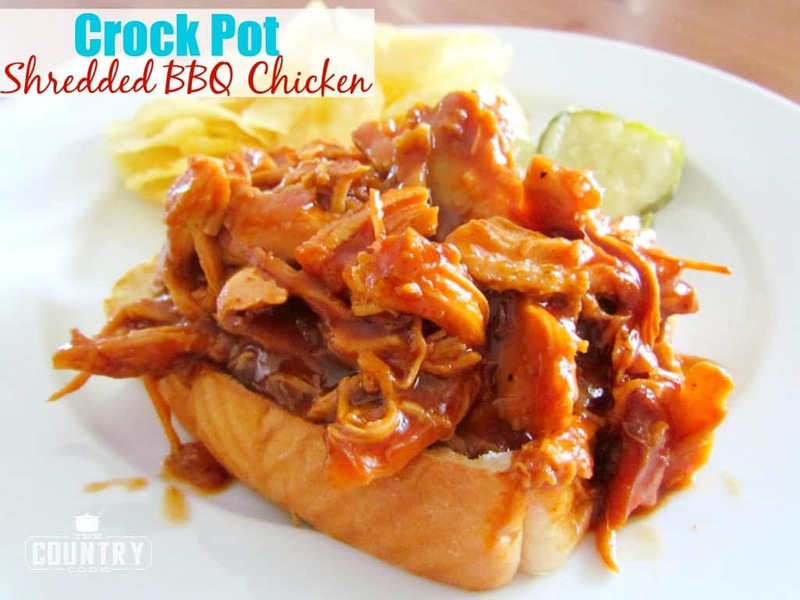 If you are unsure if your slow cooker insert is oven safe, just take the chicken out of the slow cooker and put it in an oven safe pan. 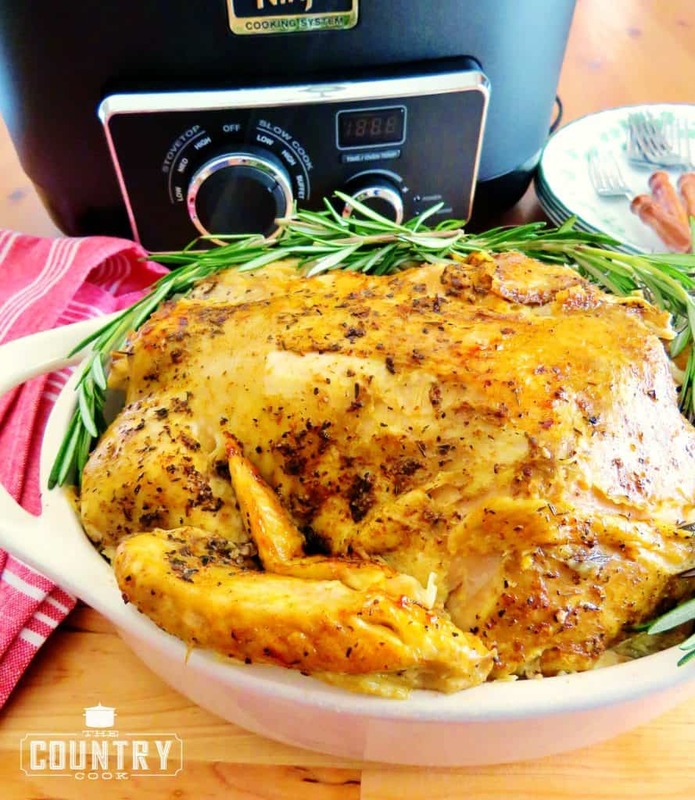 This Crock Pot Rotisserie Chicken has a ton of flavor from cooking low and slow. 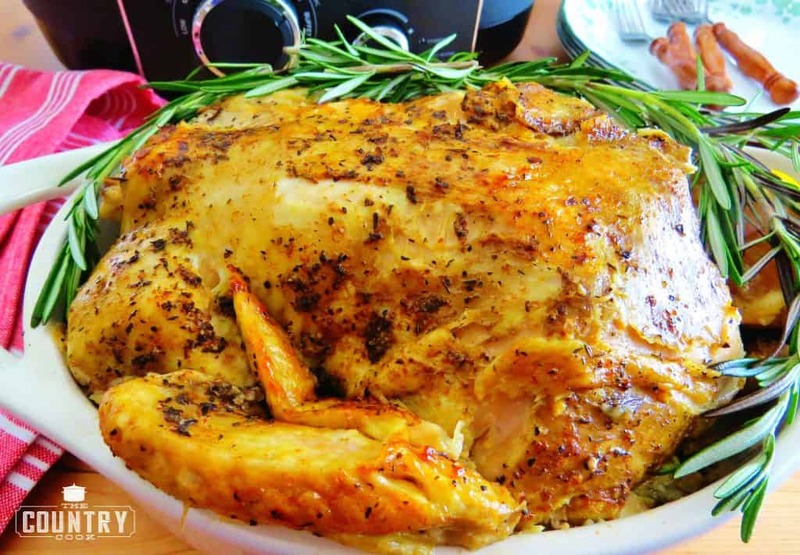 Stuffed with garlic and lemon and seasoned perfectly! 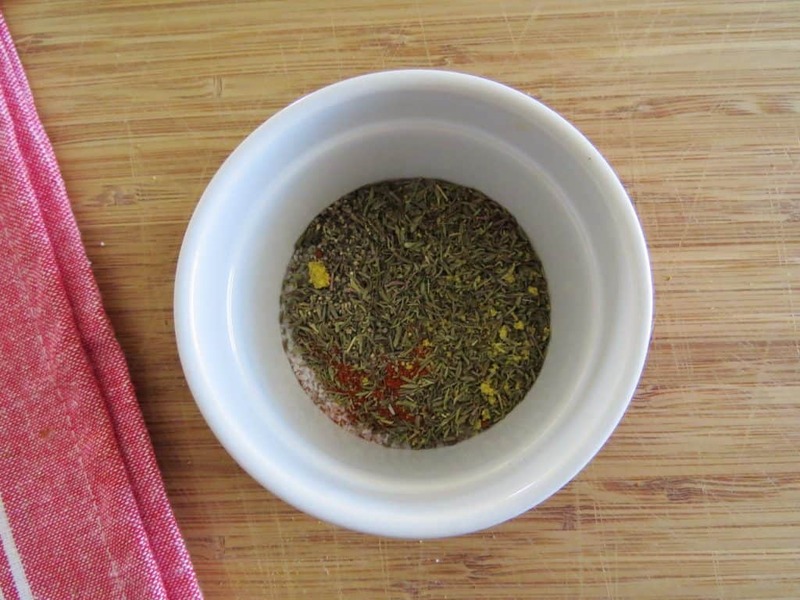 Rub spice mixture all over the chicken, including the back of the chicken, the sides and in the cavity. 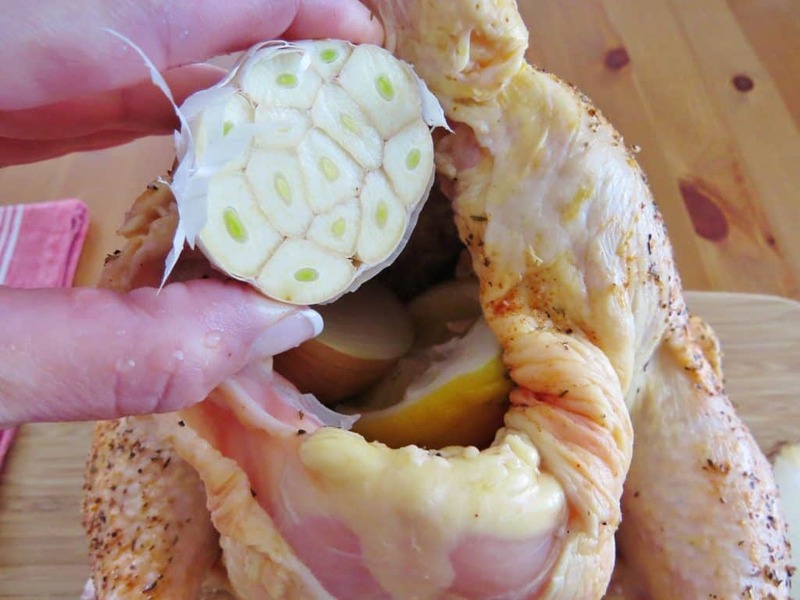 Stuff the chicken cavity with lemon halves, sliced garlic and onions. 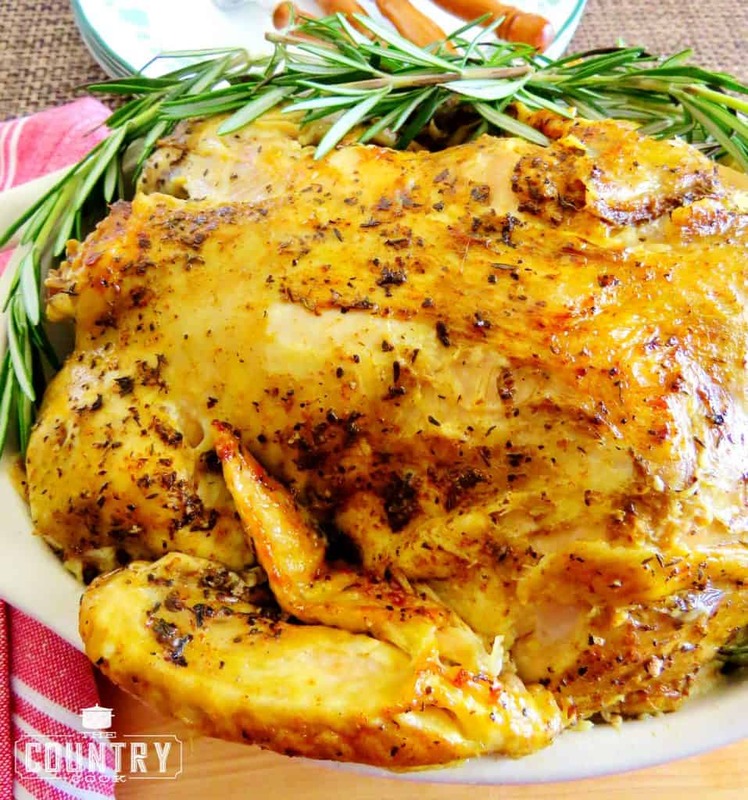 Place chicken, breast side down, in the slow cooker. Squeeze some of that lemon juice inside the chicken before placing the lemons inside. Don't bother peeling the garlic or onions, put them in there as they are. No other liquid needs to be added during cooking. The chicken will produce plenty of juices while it is cooking. When slow cooking whole chickens, the skin will stay soft. We usually just remove the skin and serve it up that way with a little bit of gravy. But if you'd like to crisp up the skin, you can easily do that. After your chicken is finished cooking, remove most of the juices (don't toss that, it makes for delicious stock! ), flip the chicken over so the breast side is up. Be careful, this chicken is SO tender! Turn the broiler to low in your oven. 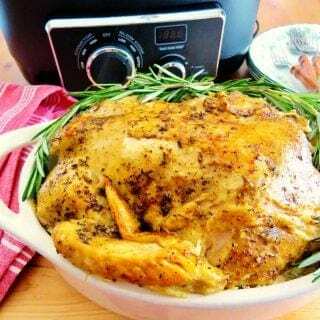 If you have an oven-safe slow cooker insert, you can just put the whole thing under the broiler for about 4-6 minutes (or until golden and crispy.) Keep an eye on it . 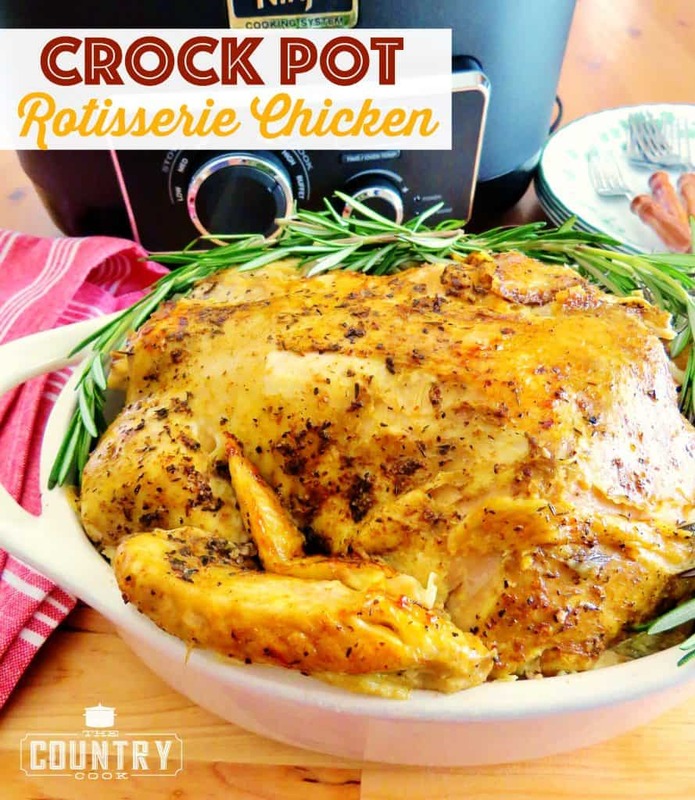 If you are unsure if your slow cooker insert is oven safe, just take the chicken out of the slow cooker and put it in an oven safe pan. This was delicious!! It made for some really good chicken sandwiches too!